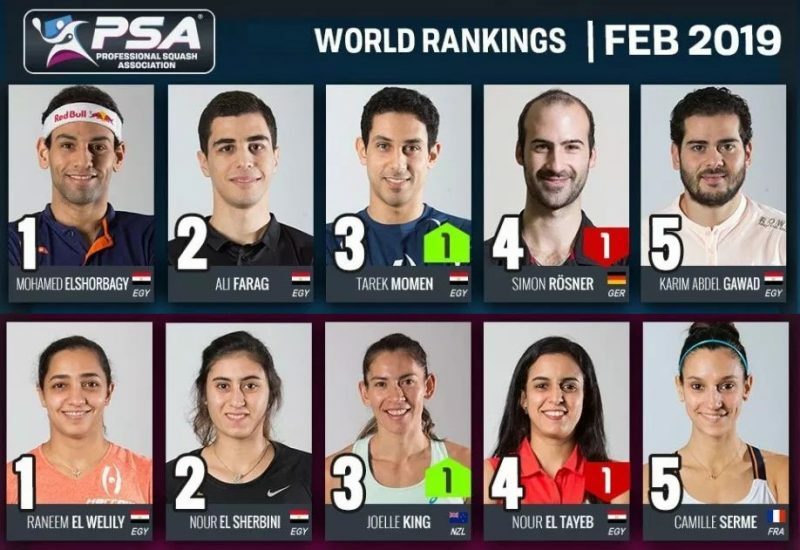 A fourth successive comprehensive win in the qualifying rounds of the JSW SDAT WSF World Cup takes Egypt, the top seeds, into the semi-finals of the biennial World Squash Federation mixed team event at the Express Avenue Mall in Chennai, India. 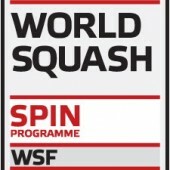 After despatching outsiders Sri Lanka 3/0 earlier in the day at the Indian Squash Academy, the favourites took on fourth seeds France in a crucial tie to determine supremacy in Pool A. 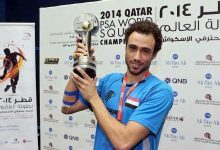 In little more than an hour of play, world No2 Ramy Ashour beat the French number one Yann Perrin, Raneem El Weleily outlasted Coline Aumard, and Karim Darwish, the world No3, defeated Gregoire Marche to consolidate Egypt’s position as group leaders. 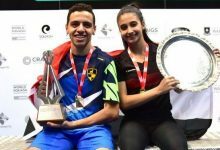 “Our players have grown in confidence each day – and we are really enjoying the format,” said Egyptian team coach Amir Wagih. 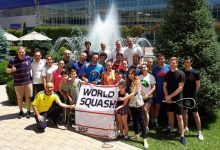 Earlier in the day fourth seeds France beat South Africa 3/0, and later the eighth seeds suffered a second defeat toMalaysia – one which leaves Thursday’s final qualifying clash between France and Malaysia to decide second place in Pool A. It was a dramatic opening match between Muhd Asyraf Azan and South African number one Stephen Coppinger which paved the way for Malaysia’s win. In the longest match of the tournament, Azan squandered a two-game lead before finally clinching the match 13-11, 14-12, 8-11, 2-11, 12-10 in 77 minutes. “I felt fine – but I need to improve my finishing,” confessed the Malaysian top string afterwards. “When I’m nervous, I play well – but I can’t take advantage when I’m in front. 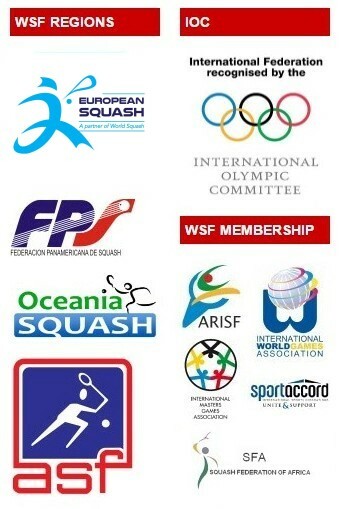 I won the first two games – and then fought back from 8-2 down in the third to 8-7, but couldn’t finish it off. I just don’t understand why. Women’s world number one Nicol David went on to beat Tenille Swartz 11-9, 11-4, 11-3 to ensure Malaysia’s win before senior Malaysian international newcomer Kamran Khan battled to an 11-9, 10-12, 12-10, 7-11, 11-9 victory over Clinton Leeuw to make it 3/0. In the standout tie in Pool B, squad number one Saurav Ghosal gave India a glimmer of hope in the opening match against Australia – but the hosts ended up going 3/0 down to the third seeds. 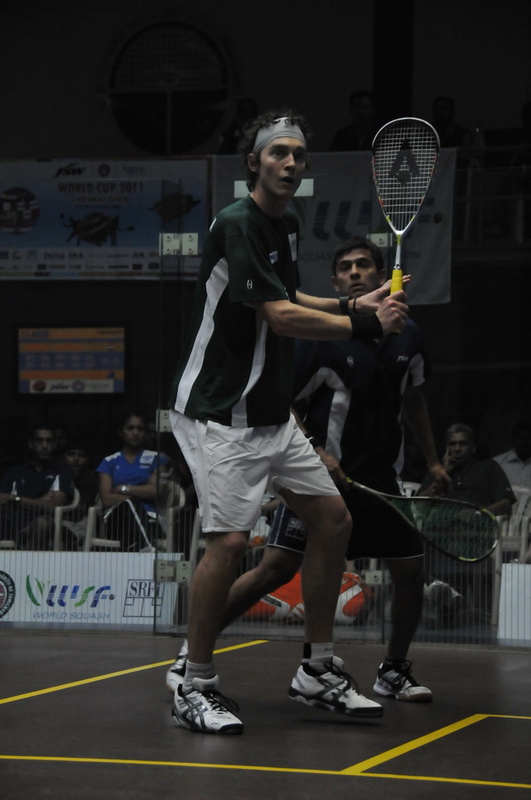 In his last meeting with Cameron Pilley, in the PSA Masters in Mumbai in December 2009, Ghosal had upset the world No14 in a 77-minute marathon. 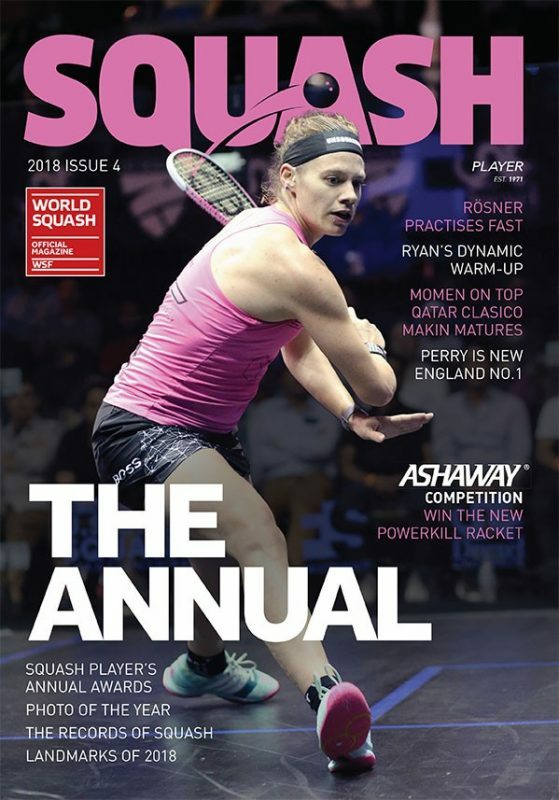 And India’s highest-ranked player of all-time took the opening game before an appreciative crowd at the Indian Squash Academy before saving two match-balls against Pilley in the fourth game to force a fifth-game decider – for the second day running. The tall Australian stuck to his guns, however, and held off the challenge of the 24-year-old world No24 from Kolkata to record a 9-11, 12-10, 11-4, 10-12, 11-5 win after 72 minutes. 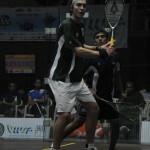 “That loss to Saurav in Mumbai was in the back of my mind,” admitted Pilley afterwards. “I was very disappointed that I didn’t close out the match in the fourth, especially after having two match-balls. “But Saurav played really well to win that game and I had to work hard to hold him off in the fifth – and was really pleased to come through,” added the 28-year-old from New South Wales. A fine performance by Rachael Grinham ensured Australia’s victory when the former world champion from Queensland beat Indian teenager Dipika Pallikal 11-3, 11-8, 11-4 – and Aaron Frankcomb made it maximum points with an 11-9, 11-6, 11-9 win over Chennai-based Harinder Pal Sandhu. 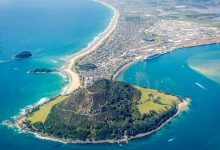 “India have improved enormously and have benefitted from the momentum of the Commonwealth Games,” said Australian team manager Byron Davis. “It’s always a challenge playing a team on their home ground – and India can be very dangerous. Rachael played really well today after another excellent game yesterday – so she’s playing with a lot of confidence. “So after today’s win, we can look forward to our clash with England,” added the former world No14. India’s national coach Cyrus Poncha was not too downcast: “It could have been so different if Saurav had won that first match. He came so close, but perhaps he was a tiny bit flat after his massive game yesterday against James Willstrop. 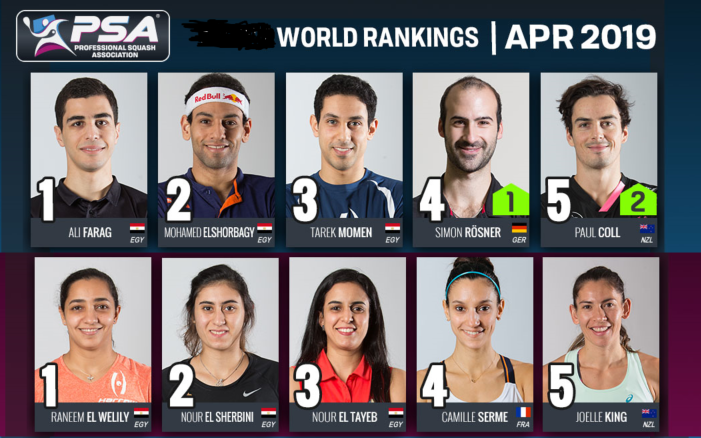 “But he has shown that he will soon be a top ten player – these are the warning bells to the rest of the squash world,” added Poncha. 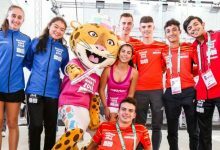 Second seeds England were given a scare by seventh seeds Mexico when world No8 Laura Massaro went down in five games to Samantha Teran, ranked nine places lower. World No7 Peter Barker had put the defending champions ahead with an 11-3, 11-5, 11-5 win over Mexican number one Cesar Salazar. Then, from 8-3 up in the first game, Massaro dropped the first two to Teran before regrouping to take the next two to draw level. But Teran dug deep to keep her higher-ranked opponent in her sights throughout the decider before moving ahead to clinch her 11-8, 12-10, 5-11, 6-11, 11-9 upset in 63 minutes. “I played well in the first two games – but then she began to put pressure on me and I wasn’t able to deal with it to start with,” admitted Teran, Mexico’s top-ranked woman of all-time. “In the fifth, I gave it everything I could. “It’s always very special to play for your country – and when I saw the England flag behind the court, I thought ‘Mexico has to do well here’ and it helped me push through. Playing for your country is much more important than playing for money or ranking points,” added the 29-year-old from Mexico City. 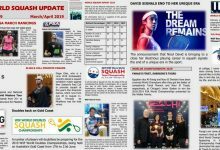 A devastated Massaro, who a month ago became British National champion for the first time, found it difficult to explain the outcome – which led to team newcomer Tom Richards having to make his international debut in a decider. “I kept thinking in the fifth game, ‘don’t let Tom have to play a pressure match’,” said the 27-year-old from Preston. Richards duly handled his maiden appearance in an England shirt with distinction, beating Mexican Jorge Isaac Baltazar Ferreira 11-7, 11-7, 11-3 in 31 minutes. 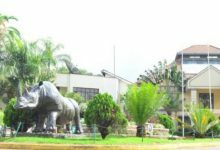 “I was nervous before the match – but I’m always nervous before a match, so that’s a good sign,” said Richards afterwards. “I just felt I had to play the best I can, and if I play my game, I should be OK.
“I’m pretty fit now, so I can make it pretty tough if I have to. But overall, I’m happy to win in three without any dramas,” added the 24-year-old world No29.